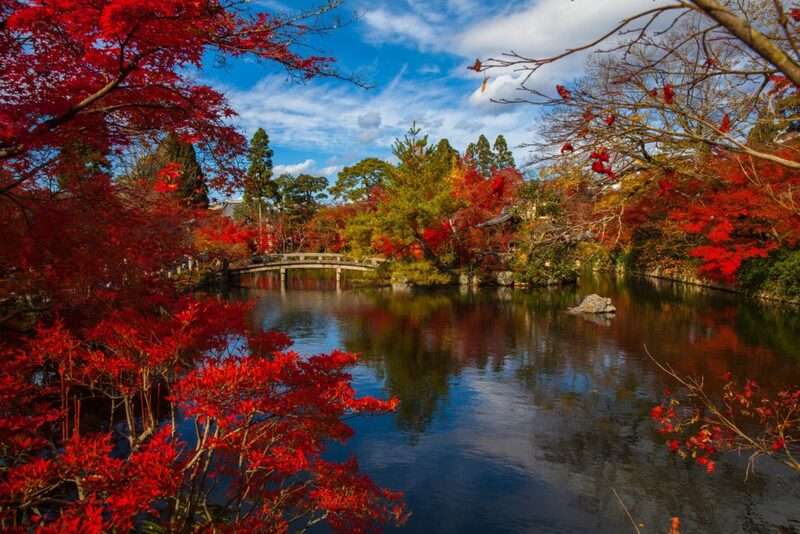 The beauty of Japan is unlike any other. The country boasts some of the most interesting sights to see, both with its natural wonders and man-made marvels. 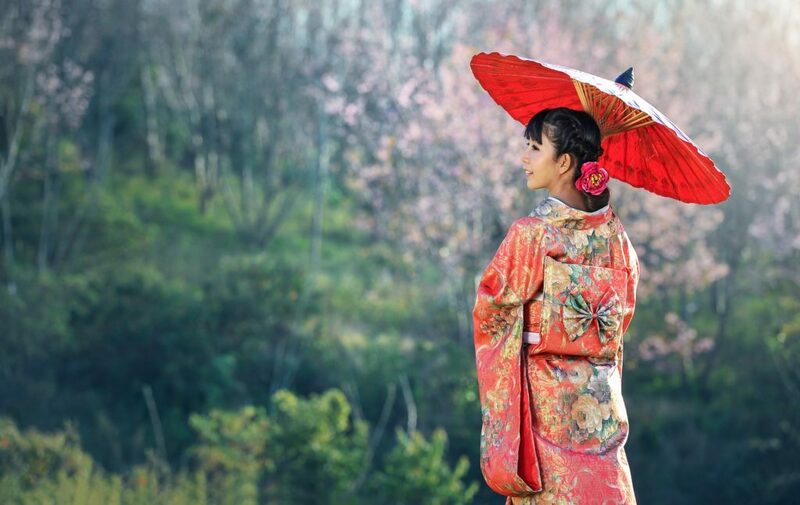 It doesn’t hurt that Japan also boasts a rich heritage, an eventful history, and a culture that’s preserved for centuries. 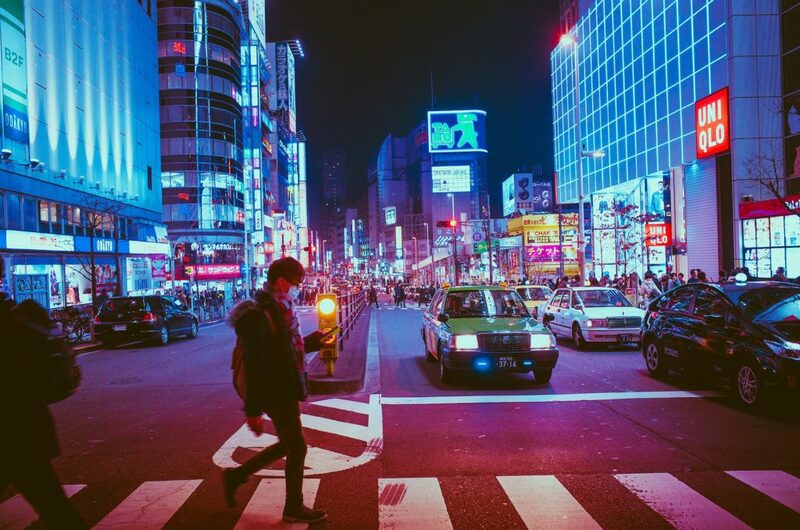 Arguably, no other country in the world pays respect to their traditions quite like Japan, and this is ironic since the nation is also one of the most technologically advanced. In fact, some of the most useful and modern gadgets that people have nowadays came from or were based on inventions by the Japanese. This country should definitely be in your bucket list, if not for their quirky culture, then for the stunning sceneries, it offers. One of the most famous of which is the Cherry Blossom tree, a pink-flowered plant whose petals are the most delicate of flora. This famous tree is so beloved in Japan that their bloom is much-awaited all year long. If you want to witness this natural wonder yourself this 2019, here are some place you can go to during your trip. 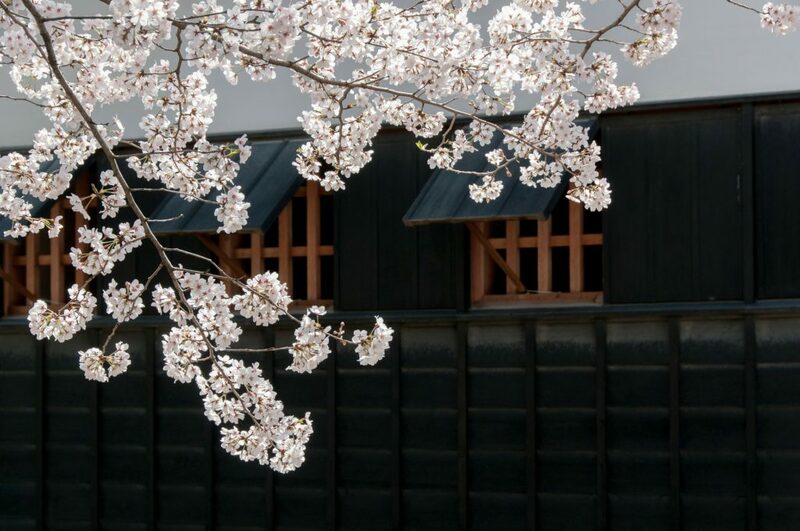 In all the places of Japan, Yoshino is perhaps the most famous for their cherry blossoms. This quaint and quiet town boasts thousands of the famous tree, lining the streets, filling the parks, and beautifying the entire area. It’s forecasted that the trees here will bloom first, which will being on March 18 and will reach full bloom by March 25. 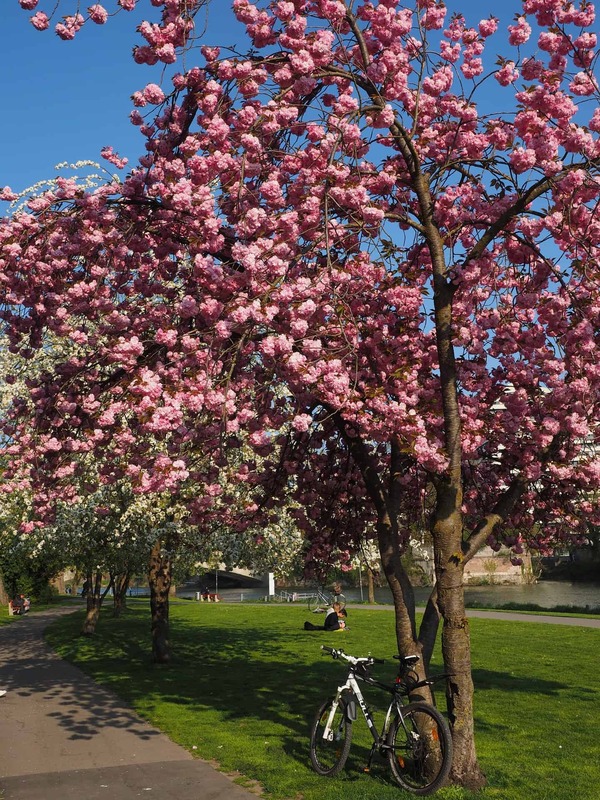 This is probably the best time to visit if you want to marvel at the pink beauties, seeing both before and after the blossom. The next town to see see the blooming of cherry blossoms is Fukuoka, the capital of the Fukuoka Prefecture. The flowers will start opening up by March 20, and nine days later, they all would have blossomed. 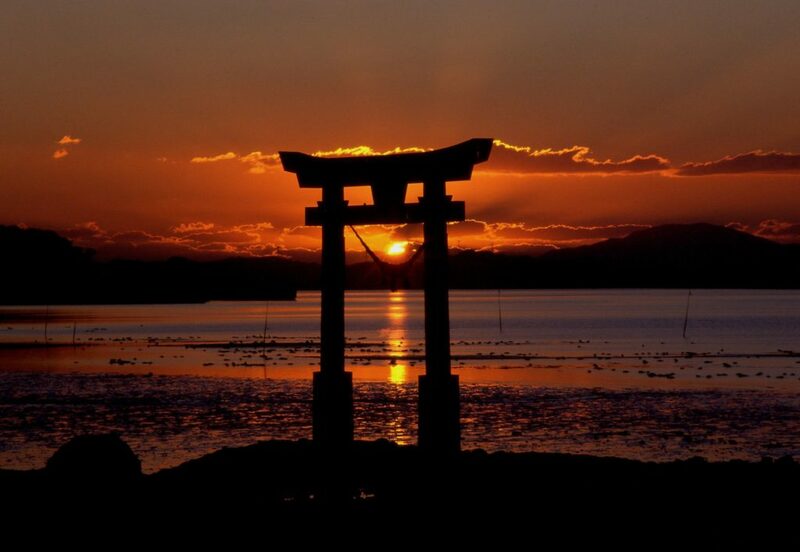 This is bound to be an amazing sight as Fukuoka is known for their ancient temples, such as the famous ruins of the Fukuoka Castle, the area’s most historic site. Seeing the pink petals against the ancient structures will give you a glimpse of what Japan was like all centuries ago. Nagoya may be one of the country’s manufacturing hubs, but it’s also the next place where cherry blossoms are bound to bloom. It will start on March 22 and will finish by the first day of April. Here, the town offers a series of parks, lakes, and rivers you can visit to see the famous plants up close and really be immersed in this beautiful natural process. 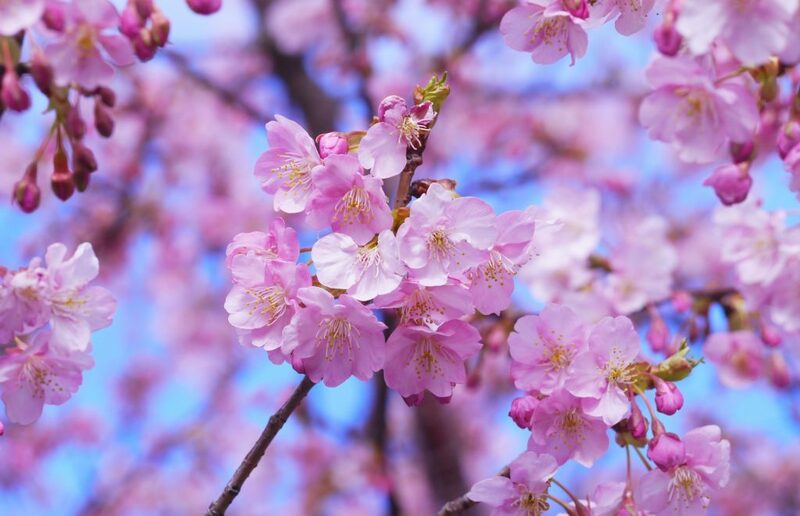 Some have even noted that the shade of the petals in Nagoya’s cherry blossoms is comparatively lighter than in other areas, making them a must-see with your own eyes! Around the same time as Nagoya’s, the cherry blossoms in the capital of Japan will also start to bloom. But Tokyo’s will reach full bloom much earlier than the latter, as the trees will all be fully shaded in pale pink by March 29. It’s no secret that Tokyo is a great place to visit for a variety of reasons, and one of them is to simply see the cherry blossoms at their most beautiful and healthiest. The contrast of the capitals very modern metropolis with this natural wonder will surely be quite a sight to behold. Similarly to Nagoya and Tokyo, Hiroshima will also see the blooming of cherry blossoms around late March. And by April 1, these trees will look their prettiest. Historically, this is the town in Japan that was hit with an Atomic bomb during the latter part of World War II. Thousands of people died during that tragic event, making this area unsuitable for the faint of heart. But seeing the beauty of cherry blossoms against one of the most damaged places in the world is a poignant experience you will never forget. 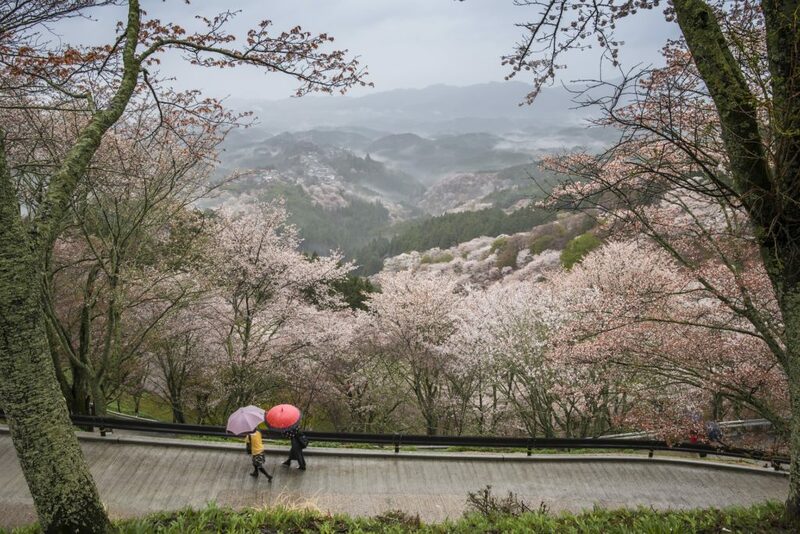 As many towns and provinces in Japan would have seen the fully-bloomed cherry blossoms by early April, the town of Wakayama is only about to witness the first blossoming during this time. However, unlike in other places, the blossoming here is quite quick. 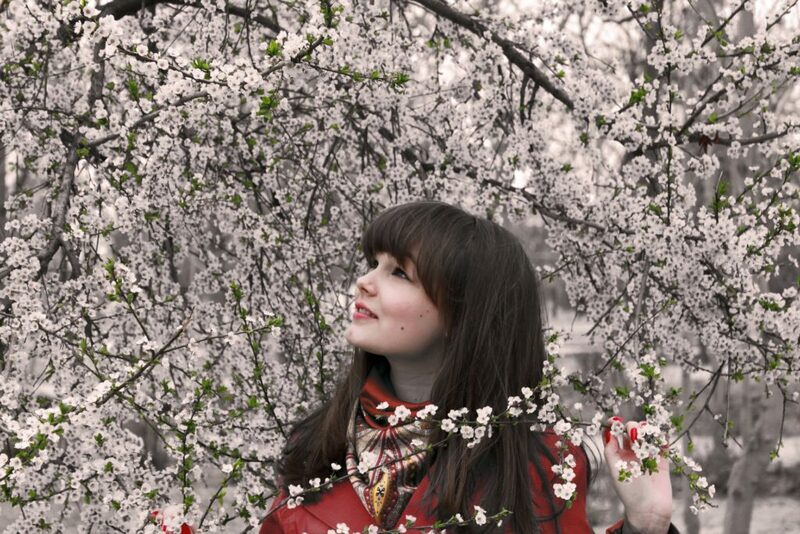 By the first week of April, the town would already cover in the pretty pink petals. Although you should see the first bloom, try to come back to Wakayama in July as well. 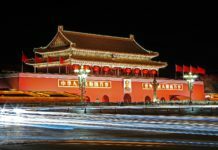 This is when they hold their famous Fire Festival, and the juxtaposition of the multitude of flames with the gentle flora will make for a fascinating sight. Similarly to Tokyo, Osaka is also a very technologically advanced city. Skyscrapers makeup its amazing skyline, while bright LED screens and city lights brighten up the metropolis even during the late hours of the night. During the early days of April, however, it’s a different kind of beauty you’d get to see: the blooming of their cherry blossoms. And before the fourth month ends, the streets will be lined with these blossomed trees. You’ll get to see first hand the harmony between the beauty of natural wonders and the feat of human achievement. Kyoto is arguably the Buddhist capital of Japan. This famous city, which used to be the capital of the country, is practically made out of shrines and temples devoted to the peaceful deity. It also showcases the very best of ancient Japanese architecture, which is a great palette-cleanser of sorts from the more urbanized areas surrounding the town. It’s as if most parts of the town never reached the 21st century! And during the month of April, Kyoto becomes a lot more beautiful as the cherry blossoms bloom with all their magnificent splendor. Seeing the petals fall on the ancient temples will look like a postcard come to life. 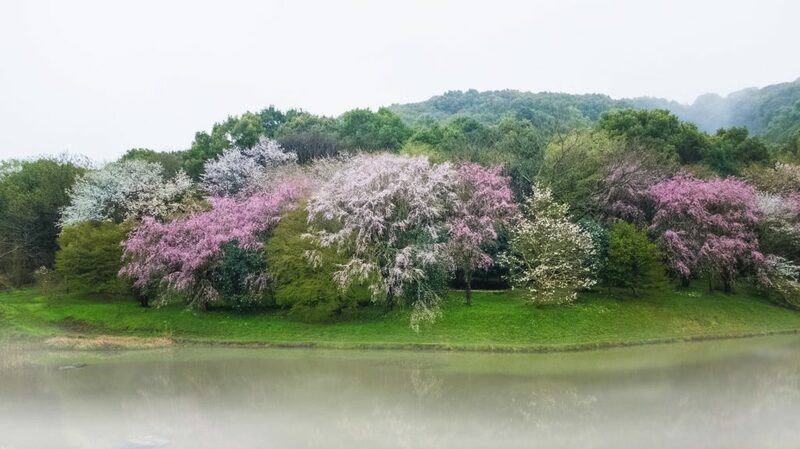 The blossoming of these beloved trees is so breathtaking that they’ve become a festival of sorts that draw in many tourists and visitors from around the world. Some travel to the country just to see this natural wonder play out and for nothing else. If you’d like to enjoy the cherry blossoms, there are some things you have to do and not do to have hassle-free experience and in order to stay respectful to the Japanese people that live in these areas. Japan is generally a cold country since it’s somewhere up north of the equator. And since most of the months when the cherry blossom bloom is in winter, you’re going to need to pile on as much winter clothes as you can. Pack along as man sweaters, jackets, coats, and more so you can enjoy the natural wonder without having to freeze to death. You’ll find that watching this beautiful process unfold is better when you’re not constantly shivering or finding ways to stay warm. Although the blooming of such flora really is quite a spectacle, sometimes, you can get a little over-excited. This might lead to doing things that are taboo, and in this instance, that’s taking the recently blossomed petals from the trees. Don’t, under any circumstances, do this. Cherry blossoms are scared plants for the Japanese, and if you hurt them in any way, they might and can take it as a personal attack on their culture and heritage. Don’t worry, the pink petals will fall all by themselves anyway. While you can’t bring cherry blossoms home, you can still capture them through your camera phone. If you’re lucky enough to catch the actual blossoming of the flowers, that’d make for a great video to share with your friends and family at home. When the cities, mountains, gardens, and more are lined and filled with all the flowery pink wonders of such plants, you’ll have more than enough pictures to last you a lifetime. Or at least until you come back! Once you’ve finished eating, remember to clean up after yourself before you leave the park. This si practically the most important rule to abide by when watching the cherry blossoms. This natural phenomenon is all about marveling at the majesty of nature, and you’re littering while watching it is both ironic and counter-productive. The Japanese also pride themselves as clean and neat people, and you leaving trash in their neighborhood is an insult to them! One of the best ways to enjoy seeing the cherry blossoms is to have a picnic. 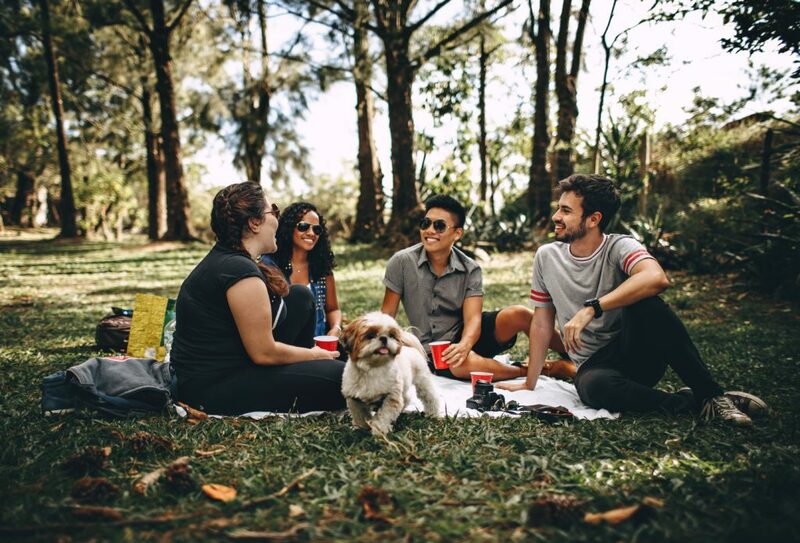 Lay out a blanket in the park or get a table and set up a picnic for you and your travel mates. This will be a great time to simply relax, talk, and just watch the natural wonder unfold before your very eyes. Here, you can also chomp down on authentic Japanese snacks and dishes, such as the famous mochi balls and of course, all the sushi you can eat! Cherry blossoms are the most beautiful national plant any country can hope to have. And in Japan, they treat them with utmost respect and reverence, even holding festivals for then why bloom. The blossoming of such flora is also a sight to behold in of itself, and in these amazing towns, you get to witness this natural wonder up close.